Damage Surveys either for cargo and ships, are intended to establish the nature, cause and extent of damage as a result of an unforeseen and unexpected event. When a ship suffers a hull or machinery damage as a result of an unforeseen and unexpected event during port operations, loading, unloading, mooring, un-mooring, etc., we can attend on behalf of any of the involved parties, in order to investigate and clarify the nature, cause and extension of damages. We can also estimate the quantum of loss, advice on primary actions to be undertaken, temporary repairs, and even follow up repairs if requested. We work for Global Inspection Companies, P&I Clubs, Hull and Machinery insurance companies, ship operators, ship owners, charterers, stevedore companies, etc. 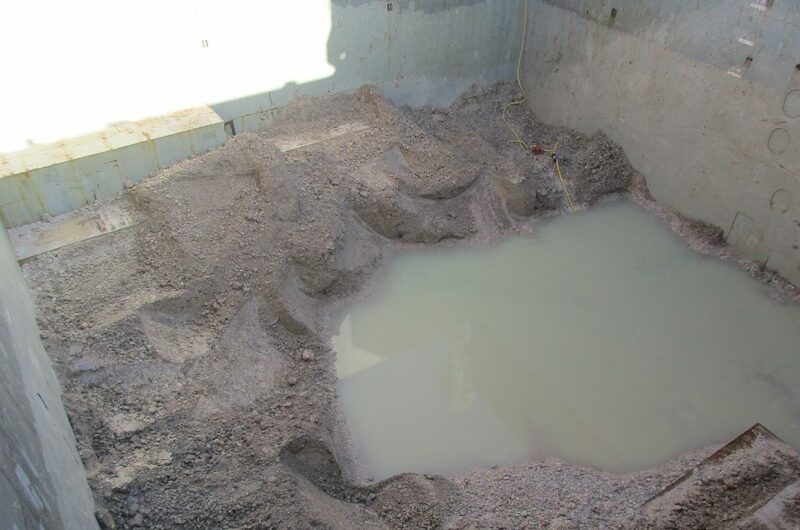 Bulk cargo damaged by wetting inside the cargo hold, occurred during discharge operations at Castellon port (Spain). 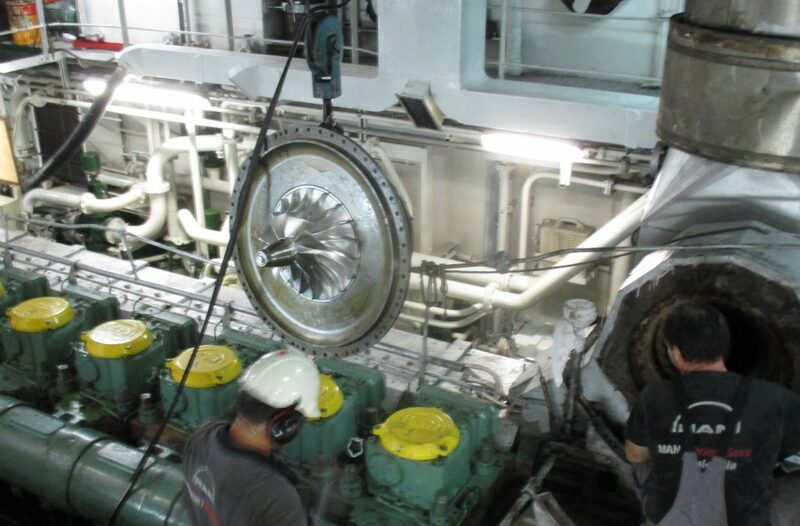 Turbo Charger replacement after a main engine breakdown, where we were appointed to follow up repairs on behalf of H&M insurance, at Valencia port (Spain). Depending on the circumstances of the occurrence, the damage survey usually becomes in a Casualty Investigation. Sometimes also port facilities are affected or damaged. In case of ship’s machinery breakdowns, we can also investigate the circumstances of the incident and follow up the repairs. Sometimes, at the request of our client, we can also carry out an ultrasonic test in order to assess the water tightness of the hatch covers. This may be of interest in case of a cargo damage affected by wet. AB SURVEYORS owns calibrated Cygnus Ultrasonic Equipment and specific operator training course.